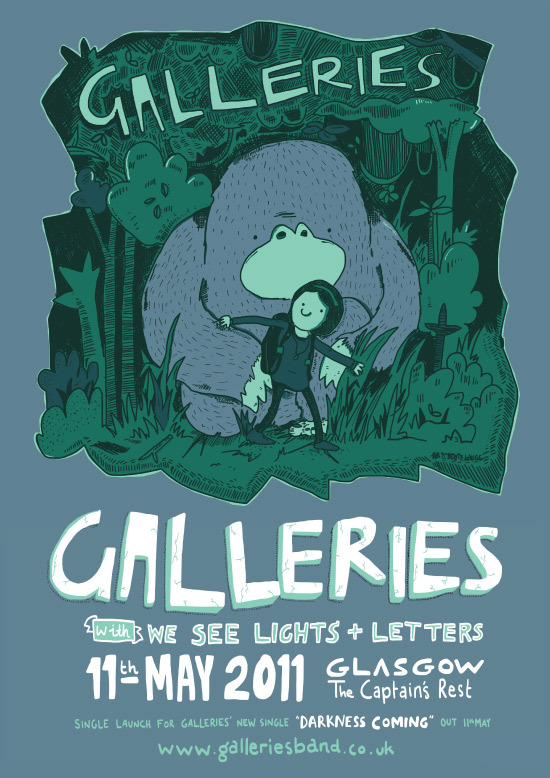 A poster I put together for Glaswegian band “Galleries”. The poster is based on the artwork I did for their latest single “Darkness Coming”. I highly recommend you visit www.galleriesband.co.uk to have a listen.